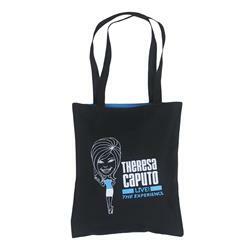 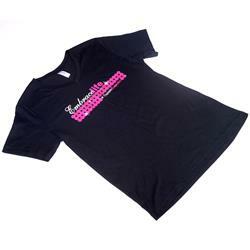 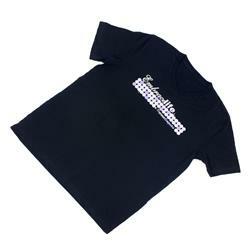 This beautiful rhinestone t-shirt makes a wonderful gift for any Theresa fan! The front features Theresa’s name in blue rhinestones and an angel wing in white. 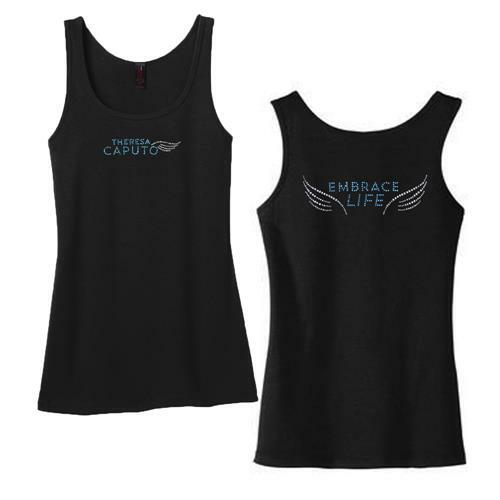 The back features the Theresa’s signature “Embrace Life” phrase in blue rhinestones and two angel wings in white.